Old Fashioned Slow Cooked Liver, Bacon and Onions. 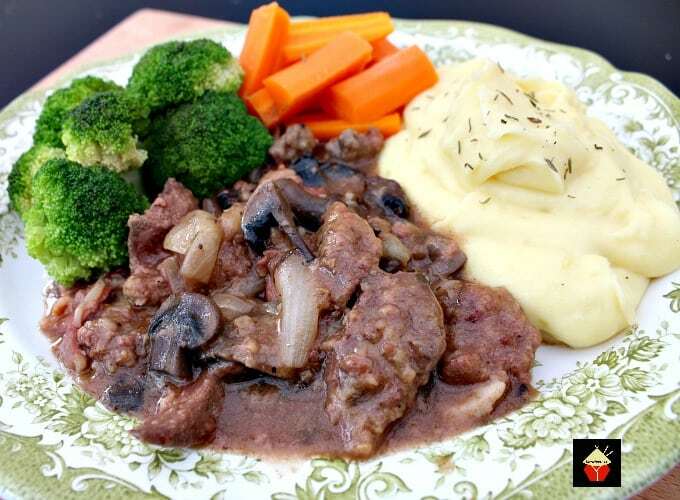 Meltingly soft, tender pieces of liver cooked in a delicious onion gravy with the bonus of bacon thrown in too! Options to use stovetop, slow cooker or oven, pressure cooker, multi cooker, Instantpot too! Old Fashioned Slow Cooked Liver, Bacon and Onions! Love it or hate it?! As a child, I hated it. Now I’m all grown up, this happens to be one of my favorite meals. It is strange how our taste changes over time. 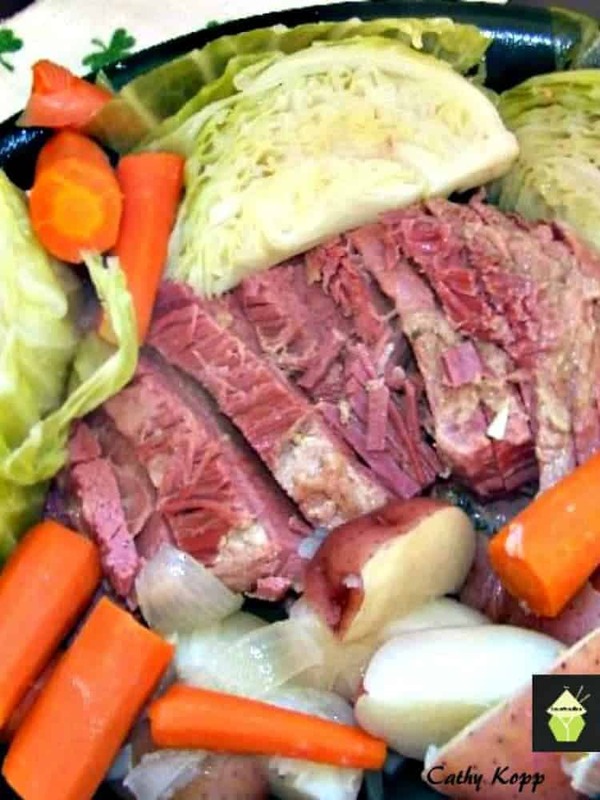 My Welsh grandmother used to make this when I was a child and I would always enjoy the mashed potato, dipping it in the gravy which came with the liver, bacon, and onions, but alas, at the end of the meal, my plate was pretty clean, apart from the slices of liver. Sometimes, I can remember trying it hide the liver under my mashed potato when she wasn’t looking. Of course, she always found out. 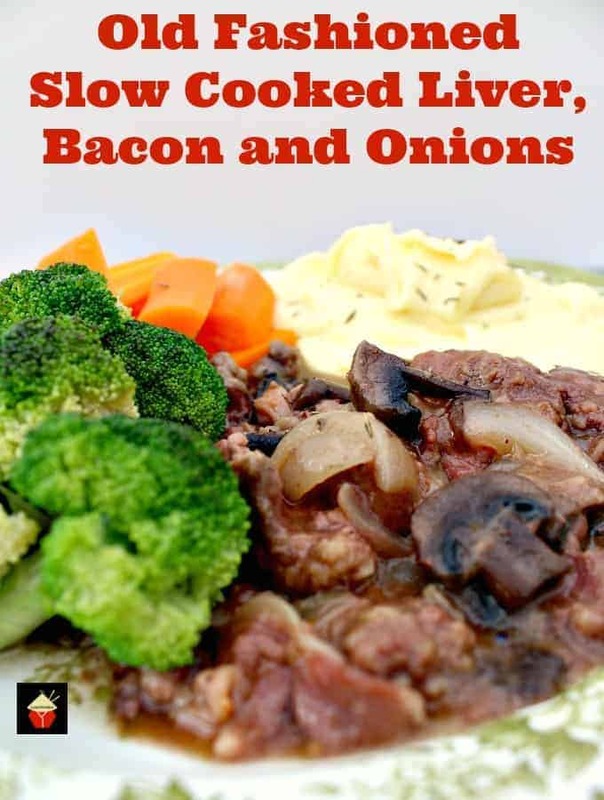 This recipe for slow-cooked liver, bacon, and onions is pretty close to what my grandmother used to make, with the exception that I have added garlic and tomato puree, both of those things she didn’t like. I guess the wartime generation didn’t really care for garlic! When I think back to when my grandmother was born, it was in the late 1800’s, so meals were pretty budget friendly, (garlic would have been classed as an exotic item I expect! ), hearty and full of flavor. 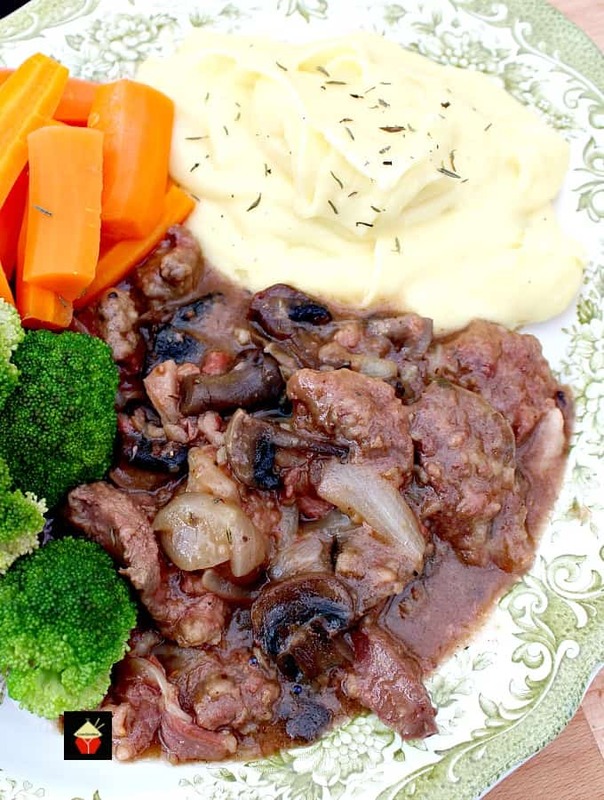 This liver, bacon and onions recipe certainly delivers on flavor, comforting you with every bite. I have used pigs liver in this recipe. My grandmother used lambs liver, but I personally find that a little stronger in flavor and also it does seem to be ‘chewier’. 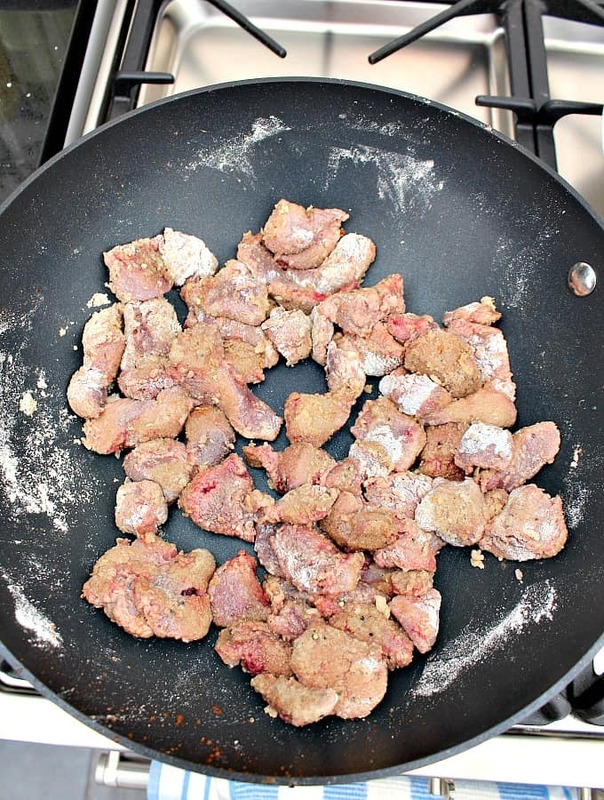 Pigs liver is softer to the bite and doesn’t have that strong offal taste you get. 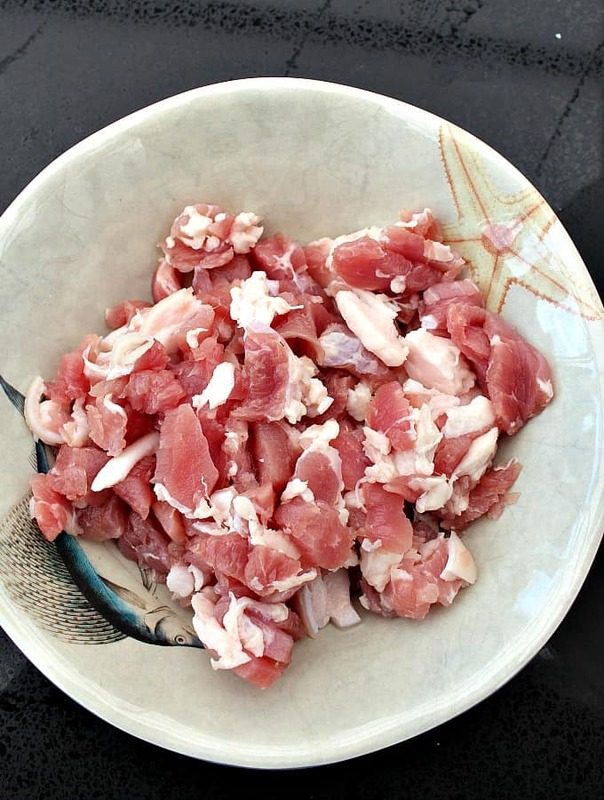 The bacon in this recipe is a fabulous addition. Bacon adds another dimension to this dish, and yes, I have left the fat on, just like my grandmother used to. She would often cook using bacon drippings! 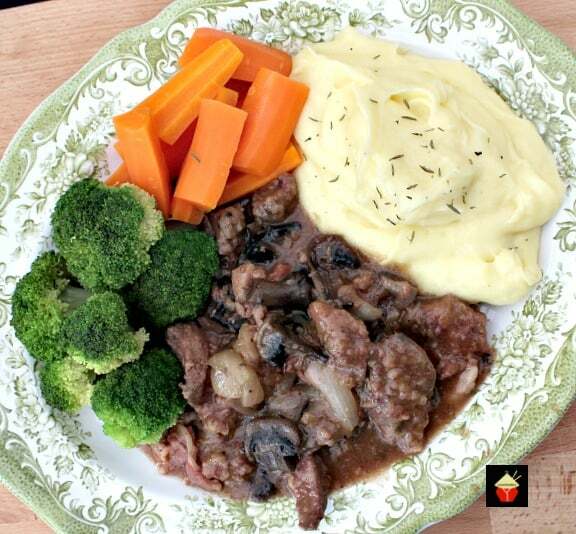 Here, I’ve served this with a lovely creamy cheesy mashed potato, you can see the recipe here. and for the vegetables, I’ve simply steamed some carrots and broccoli. You can, of course, choose whatever vegetables your family enjoys. I know not everyone has a slow cooker, so I’ve given some directions if you wish to cook in the oven or stove top. My grandmother always started off her liver, bacon, and onions on the stove top then transferred to the oven. 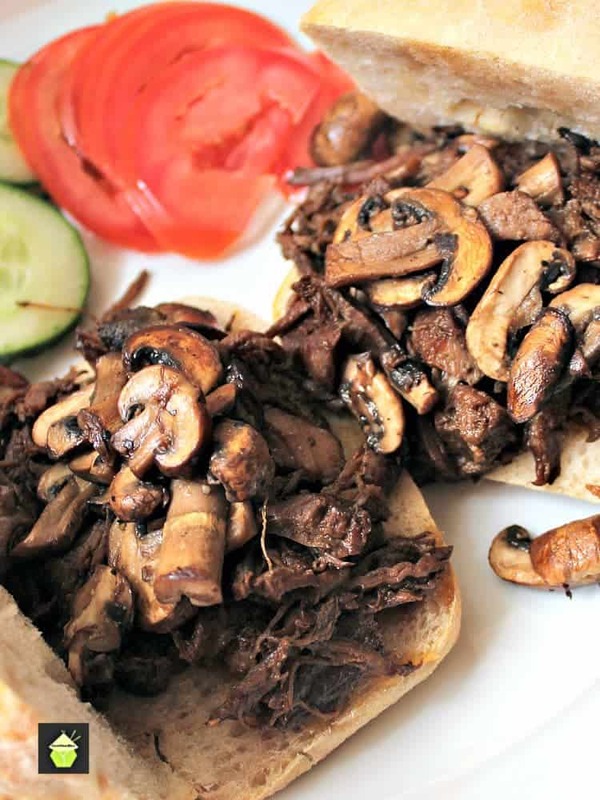 The photos you see in this recipe are from cooking it in the slow cooker. The liver is incredibly tender and soft. It really does melt in your mouth. The gravy has heaps of flavor, and that alone if you have any left over is worth saving in a bag and freezing. You could warm it up and use it for another meal with sausages and mashed potato! It is a delicious gravy! So let’s get straight to the recipe and see how we make our Old Fashioned slow cooked Liver, Bacon and Onions. Please enjoy! Optional: 1 teaspoon fresh or dried herbs of your choice, such as Thyme or Oregano. 1. Wash and slice the liver in to bite size pieces. 2. In a large mixing bowl, add the flour and season with salt and pepper. Then add the liver and toss, making sure each piece is coated with flour. When done, take 3 tablespoons of flour and place in a cup and add a little cold water to form a paste. We will use this to thicken the gravy later. Set aside. 3. Chop the bacon and slice the onions, mince garlic etc. Over a medium heat, fry off the bacon until cooked. Use a slotted spoon and put the cooked bacon on a plate, leaving the bacon fat in the pan. 4. Turn the heat up on the pan and add the liver slices. Carefully turn them until they are browned on all sides then remove on to a plate. 5. 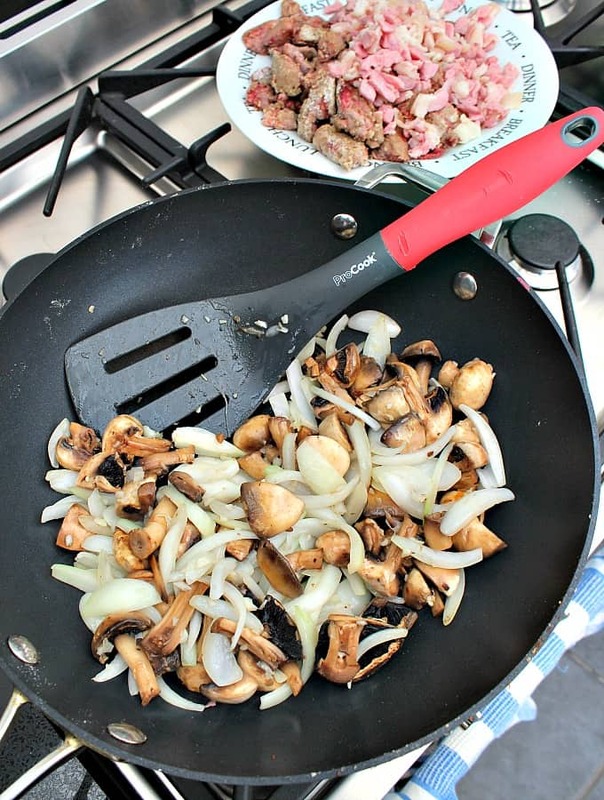 Add the sliced onions, garlic and mushrooms to the pan. You may need to add a drop of olive oil if there is not much fat left from cooking the liver. Gently cook until the onions are soft. If using herbs, add them now. 6. 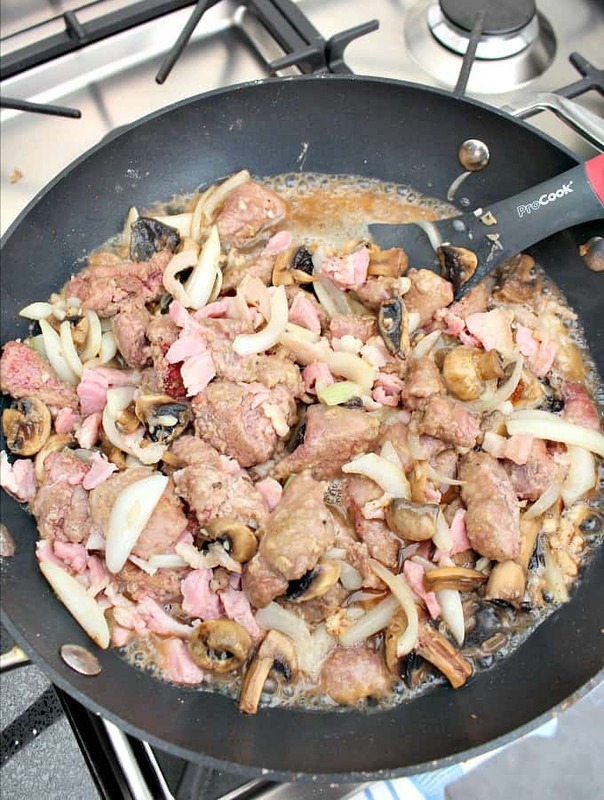 Add the bacon and liver back to the pan with the onions and mushrooms and combine. Then add the tomato puree and beef stock. Add the cup of flour water you prepared earlier and gently stir until everything is combined. 7. For cooking on the stove top, place the lid on the pan and gently cook on the lowest heat setting you have for about 2 hours or until the liver is tender. For cooking in the oven, transfer everything to an ovenproof casserole dish and place in the oven at 300 F or 150 C for approximately 2 hrs 30 minutes. 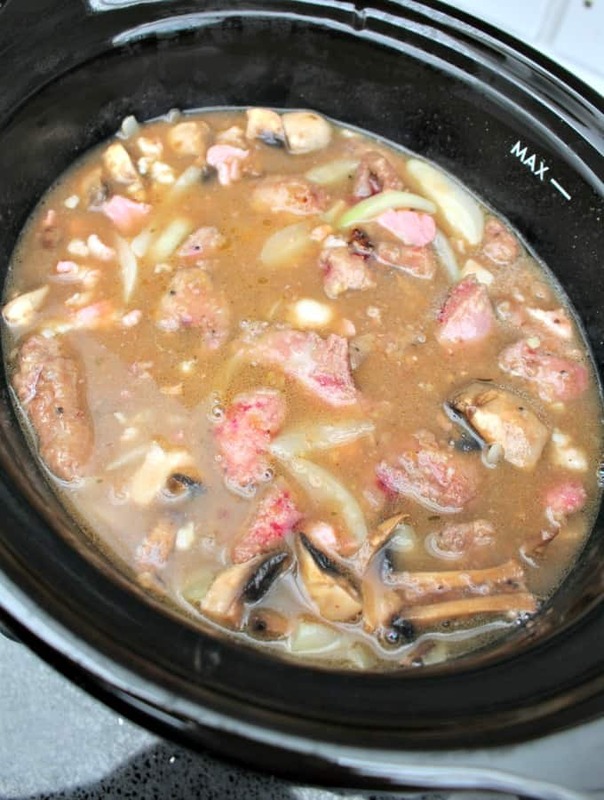 For cooking in the slow cooker, transfer everything into your slow cooker and cook on low for 5-6 hours. 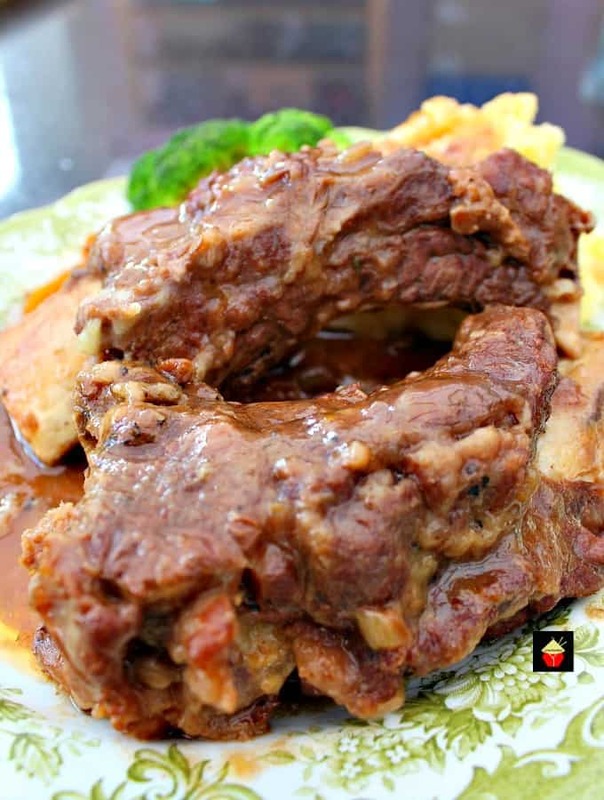 For those of you who would like to make this recipe in your Multi cooker or Instantpot, using the browning setting, saute as the instructions above and then add the broth mixture to the pot. Select MEDIUM Pressure and cook for 35 Minutes. Release the steam and serve! 8. 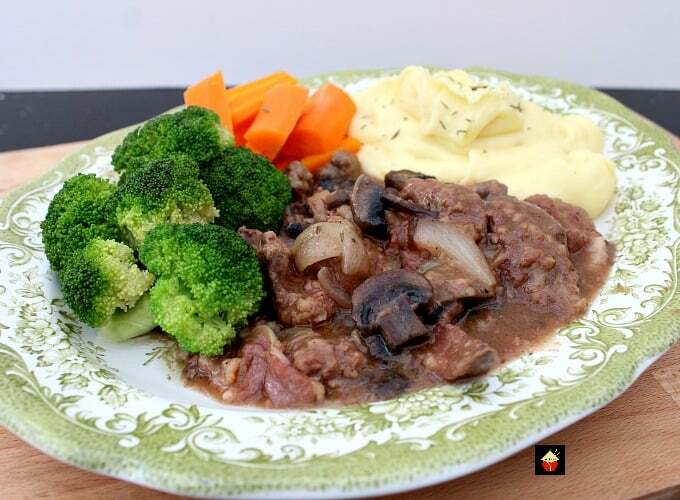 When ready, serve hot with some lovely mashed potatoes and steamed vegetables! We’d love to hear from you and what you thought of our Old Fashioned Liver, Bacon and Onions recipe. Did you make any changes or add some other goodies? Let us know in the comments below. Thanks for reading and happy cooking! Old Fashioned Slow Cooked Liver, Bacon and Onions. 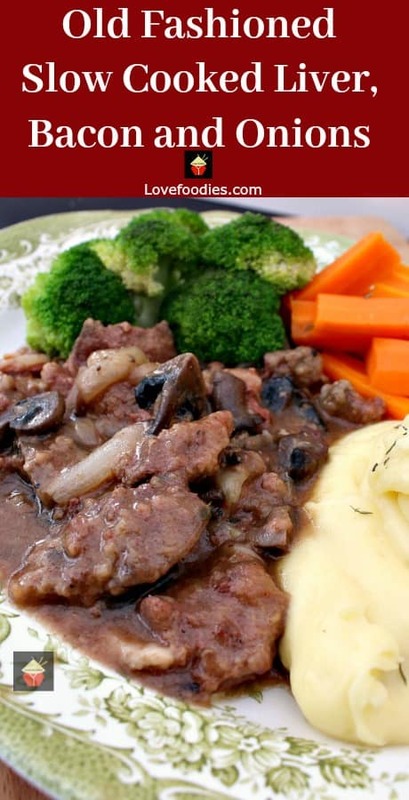 Meltingly soft, tender pieces of liver cooked in a delicious onion gravy with the bonus of bacon thrown in too! 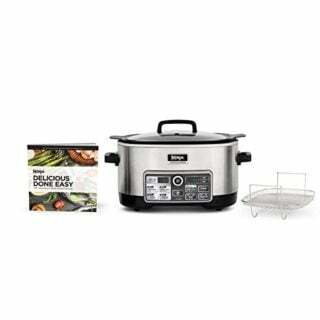 Options to use stove top, slow cooker or oven, pressure cooker, multi cooker, Instantpot too!. Wash and slice the liver in to bite size pieces. In a large mixing bowl, add the flour and season with salt and pepper. 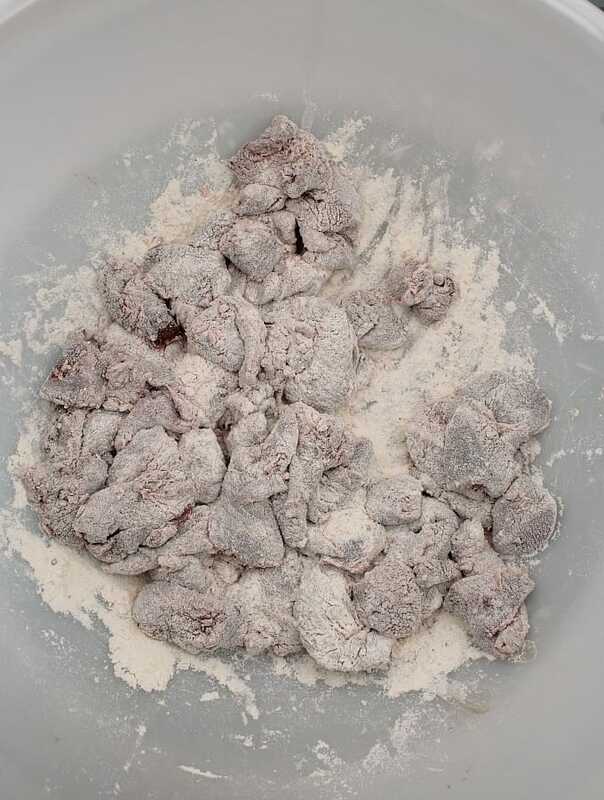 Then add the liver and toss, making sure each piece is coated with flour. When done, take 3 tablespoons of flour and place in a cup and add a little cold water to form a paste. We will use this to thicken the gravy later. Set aside. Chop the bacon and slice the onions, mince garlic etc. and over a medium heat, fry off bacon until cooked. 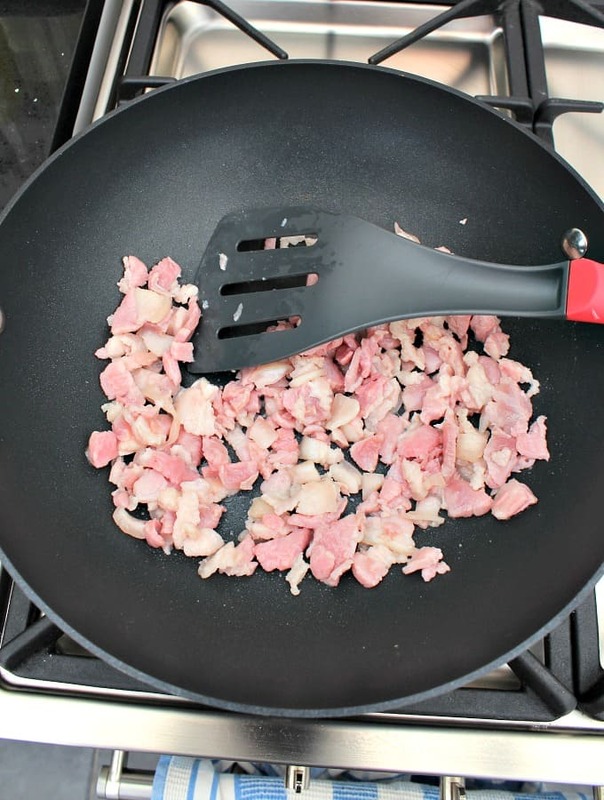 Use a slotted spoon and put the cooked bacon on a plate, leaving the bacon fat in the pan. Turn the heat up on the pan and add the liver slices. Carefully turn them until they are browned on all sides then remove on to a plate. 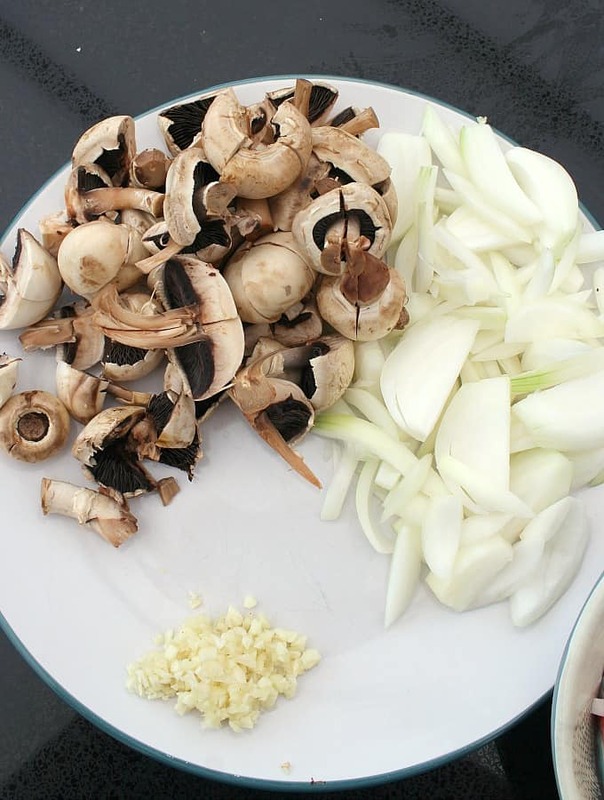 Add the sliced onions, garlic and mushrooms to the pan. You may need to add a drop of olive oil if there is not much fat left from cooking the liver. Gently cook until the onions are soft. If using herbs, add them now. 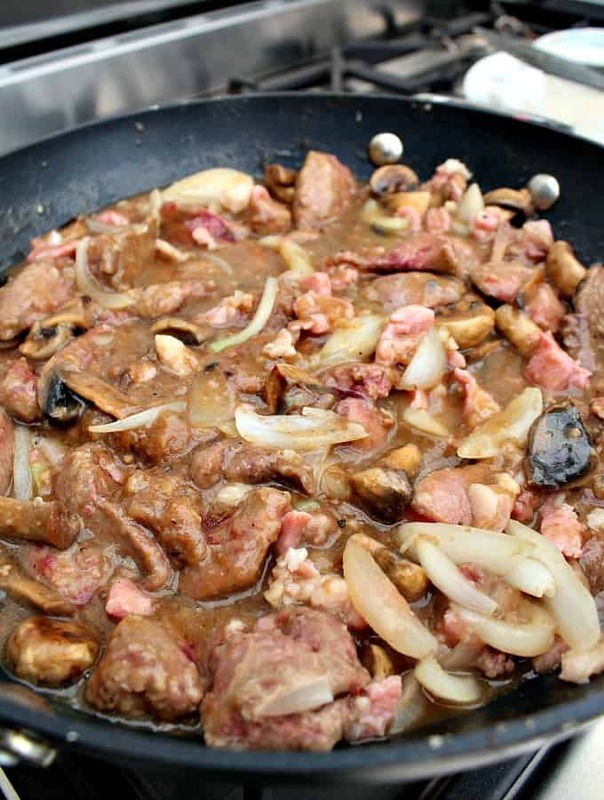 Add the bacon and liver back to the pan with the onions and mushrooms and combine. Then add the tomato puree and beef stock. Add the cup of flour water you prepared earlier and gently stir until everything is combined. For cooking on the stove top, place the lid on the pan and gently cook on the lowest heat setting you have for about 2 hours or until the liver is tender. 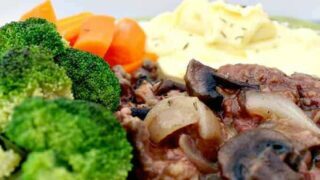 When ready, serve hot with some lovely mashed potatoes and steamed vegetables! 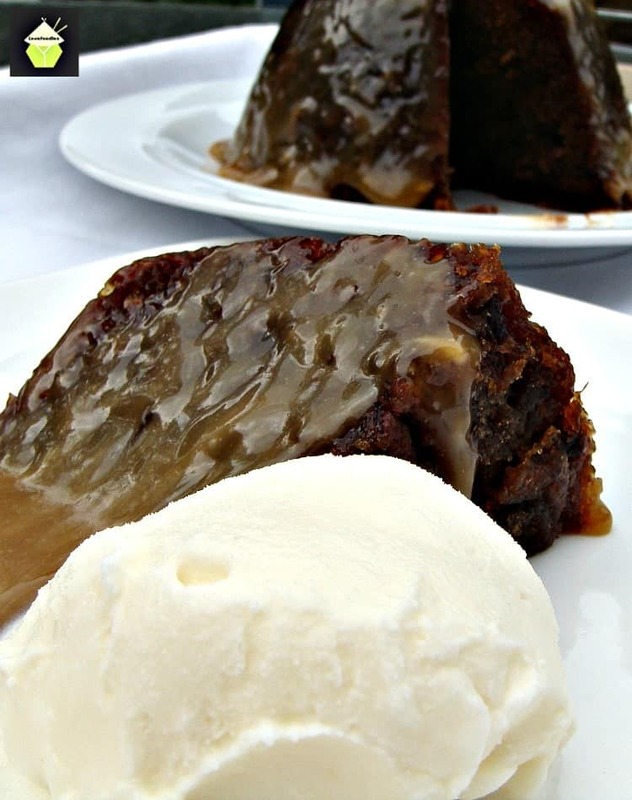 I used a tea spoon of brown sugar and that is all, I followed the rest of the recipe too the t. Very tasty. Made this today, was delicious. Was a time I thought it wouldn’t turn out OK and I’d messed up as my pan isn’t very non stick and thought I’d floured the liver too much but it really was amazing. Used my slow cooker and it was ace. Really easy to follow. Thankyou, will definitely make this again, but will make the bacon bits larger next time. Tried this recipe for family and friends. Voted the best ever !! Many thanks.